Health Minister Aaron Motsoaledi is planning to introduce legislation to lower the salt content of food, he advised Parliament this week. Motsoaledi said SA could learn from the UK, which decided in 2006 to reduce the salt content of food by 40% within five years. 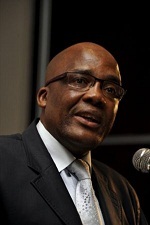 HEALTH MINISTER Aaron Motsoaledi has begun a salt crusade, as he told Parlliament in his budget vote policy speech this week. “The need for targeting tobacco and alcohol has already been outlined and no matter how many financially powerful people and institutions make noise about it. I can stake my life on it, we are going to fight with our bare knuckles to achieve this, particularly a ban on advertising of tobacco and alcohol. It is a point of no return and the sooner the tobacco and alcohol industry understand this, the better. “I am going to ask you in this Parliament very-very soon, to process legislation to reduce salt the salt content of our foodstuffs. South African diet has been shown to be very high in salt. The desired amount of salt for your body is known to be 4-6 grams per day. “But in our country it is up to 9,8 grams per day i.e. more than two times the physiologically required amount. More salt is already found in food rather than individuals adding it on the table. Britain has taken a lead in this case, since 2006, they have agreed to reduce salt intake by 40% within five years. The legislation is likely to come as a blow to the food industry which prefers self-regulation. Pertinent comment from well-known dietitian and health food consultant, Jane Badham: “There is no doubt that reducing sodium intake is a public health issue in SA, as well as globally and is a key component of the WHO global strategy. The scientific literature is clear that decreasing sodium intake is important in reducing blood pressure, that high blood pressure is a significant risk factor in stroke and that heart disease and stroke and heart disease are major killers in SA. The question is how, where, who – and who will enforce it? “This is more complex because of the wide range of products that contain sodium. I don’t believe you can put a blanket prohibition or a single maximum level on sodium content. You will need to regulate levels by category. I know the DoH has started engaging the stakeholders but do hope that they continue to determine any regulations through full engagement with the industry rather than unilaterally striking out at them – we have so many examples of how this type of unilateral response from the DoH has led to regulations having to be amended to be feasible. Many poor South Africans have a diet that is very high in salt, as their staple starch is bread, and South African bread is among the saltiest in the world, the University of Cape Town’s Prof Krisela Steyn previously told Business Day. Products like soup mix and stock, used extensively by poor households to flavour bland staples such as mielie meal, are also very high in salt. Some local food companies have already started reducing the salt content of their products. Pick n Pay and Woolworths are among those that have reformulated some of their processed foods, and some bakers such as Sasko have also followed the global trend. Retailers Pick n Pay and Woolworths say they will not be affected by Health Minister Aaron Motsoaledi’s plan to introduce a law to lower the salt content of food as they already comply with the proposed requirements. Zyda Rylands, MD for food at Woolworths, told BusinessLIVE that the group had gradually been reducing the salt content in its own brand of products for a number of years. “In 2007, we announced that we had revised over 100 recipes, resulting in an annual reduction of 35.2 tons of salt from certain breads, cereals deli meats, biltong, cheese, boerewors, fish, party snacks and frozen foods,” she said. According to Peter Arnold, Pick n Pay’s acting merchandise director, the company adheres to criteria enforced by its technical managers and product development manager when formulating or developing its private label products. The company tries to reduce sodium levels as far as possible, while striving to maintain a level that satisfies customers’ tastes. “Our food products undergo extensive tasting sessions, which are managed by the developer and confirmed by a formal in-house taste panel. Once approved, the final product is sent to accredited laboratories for full nutritional testing to verify sodium levels,” Arnold told BusinessLIVE. The Democratic Alliance’s spokesman on health, Mike Waters, said reducing salt intake could only be a good thing, but he was cautious about government intervention to achieve this goal. “Ideally, what one should be doing is educating the public on what is good nutrition, because you don’t want to become a nanny state,” he said.He added that an unhealthy diet was one of the four lifestyle-related risk factors for noncommunicable diseases, which posed a growing burden in SA.